It’s that time of year again where we begin to look at what lies ahead. In the technology space this is particularly important as we take into account the trends, changes and news that have shaped the current year and forecast just what effect these things will influence our future. We operate in an increasingly hybrid world, where security, compliance and optimising cloud and technology investment remain strong focus areas. For us, as a company, it’s crucial that we ensure our solutions, skills and expertise remain relevant in this dynamic market and continue to bring value to our customers. 2017 has been a decisive year for technology trends and the companies that operate in this space. One of the biggest news items this year was the launch of Microsoft Azure Stack, a hybrid cloud platform that is set to change the way the world looks at cloud. We collaborated with Microsoft and its hardware partner Dell on getting one of the first iterations of Azure Stack into our datacentres. We also developed a proof of concept version of the technology — AMP Launch Pad — to introduce it to our customers and allow them to explore the features, functionality and benefits for themselves before committing to a full-on investment. 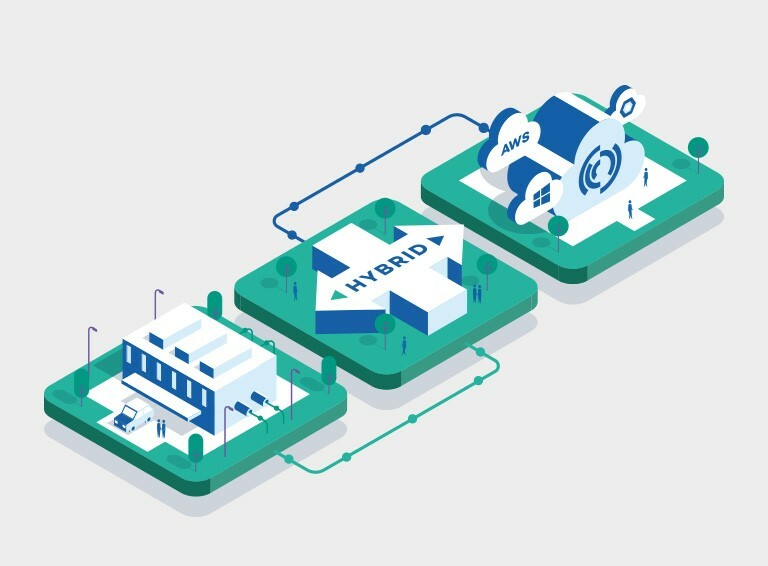 This was an exciting time for us and the addition of Azure Stack to our solutions portfolio is certainly playing a role in the way we develop and deliver our hybrid services. As the industry moves to adopt more hybrid services and truly reap the value that they offer, we also need to be aware of other market issues, particularly around cyber security and the ever-important challenge of compliance. With this in mind, we strengthened our capabilities around continuous compliance and our AWS offerings with the acquisition of LayerV in August. The result of the deal is a more comprehensive end-to-end hybrid IT offering that really meets the dynamic needs of a wide range of customers. We’ve also grown quite significantly through the year, characterised by the appointment of a new CEO, Niclas Sanfridsson, and CFO, Brad Petzer. With Niclas at the helm, we’re ideally positioned to capitalise on this growth and enter into the next phase of our development. 2018 will offer up new and exciting trends, challenges and changes. And we are ready for it. The work we’ve done in adapting and strengthening our focus and capabilities means we will continue to support our customers and help them thrive in this constantly changing landscape. This includes delivering not only our hybrid cloud services in a secure and compliant environment, but also consultancy and support around these key industry issues. We showcase these capabilities and our approach on our new website — www.pulsant.com. Take a look today to see how Pulsant can help your business.